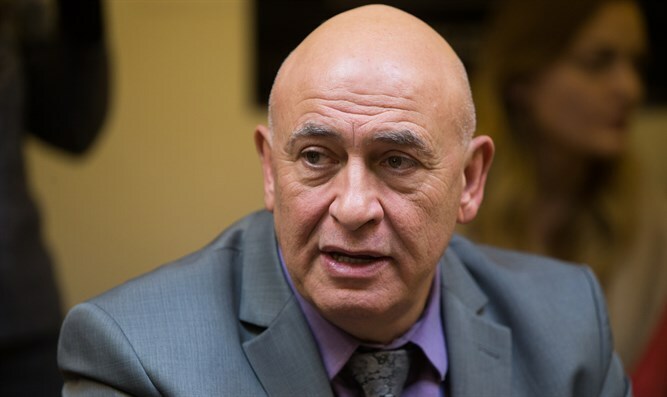 MK Basel Ghattas is to submit his resignation to the Knesset as part of a plea bargain, after an amended indictment was submitted. The prosecution submitted today, Friday, to the Beer Sheva Magistrate’s Court an amended indictment and announcement of the plea bargain against MK Basel Ghattas. Ghattas signed last night the plea bargain within whose framework the prosecution is to request that the court impose two years of imprisonment on Ghattas, along with conditional imprisonment which will be established by the court. It was also agreed within the framework of the plea bargain that MK Ghattas will submit on Sunday his resignation from the Knesset. “My actions stemmed from personal reasons of conscience and humanity towards prisoners. I accept full responsibility for my actions,” Ghattas said last night. Minister of Public Security Gilad Erdan (Likud) on Thursday evening criticized the plea bargain, writing on Twitter: "I find it difficult to understand why the prosecution is satisfied with only two years in prison for Ghattas over acts of assisting to terrorism, when the evidence is so solid. I hope the court will impose a much worse sentence," Erdan wrote on Twitter. Erdan pointed out that Ghattas took advantage of his immunity as an MK, "tried to help a terrorist and put many lives at risk. Two years? For economic offenses, in Israel in many cases three years in prison are imposed and even more."